I won't stop until Fiona Cassidy is safe in my arms. I was an MMA champion until a sucker punch from a sadistic opponent ended my career for good. Turned out the joke was on him. Today I'm the millionaire owner of a company that puts on MMA fights all over the world and he's a lousy bodyguard, working for the one guy on earth besides him that I truly can't stand, that piece of crap SOB, Kyle Cassidy. I have everything a man could wish for. I'm young, rich, good looking, with the body of an MMA champ and the s*xual appetites of a Greek god. Women are drawn to me like moths to a flame. Then I meet her, Fiona, the tall blond who hypnotizes me with her eyes and mesmerizes me with her body. She makes me feel things no other woman has ever done. In bed, she rocks me like a punch to head and leaves me flat on my back begging for more. But she has a secret, something she isn't telling me, and when I discover what that secret is, people are going to get hurt. Some who deserve it, some who do not. 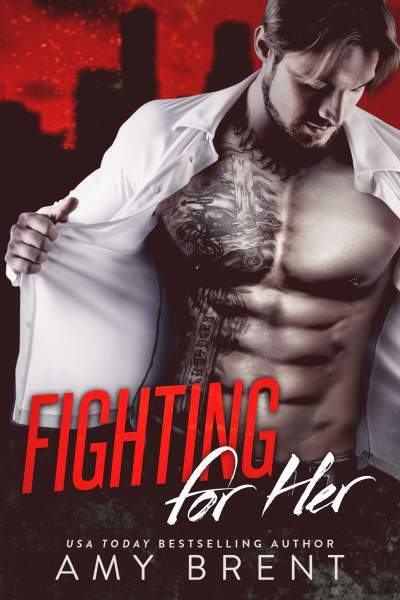 Either way, I'm willing to fight for the woman I love, even if it turns my brain and heart to mush.